February half term week has proved to be FABruary half term week. I managed to end up with a week off, as did Brad, so we have gone all out to make sure we got out the house and had LOTS of fun. Monday, we started off the week with a "bear hunt" in the woods near our house, Tuesday, we rode a train at Lakeside and Wednesday, Lucas had nursery so Brad and I had a 'very youtube day' which included lots of filming main channel videos. 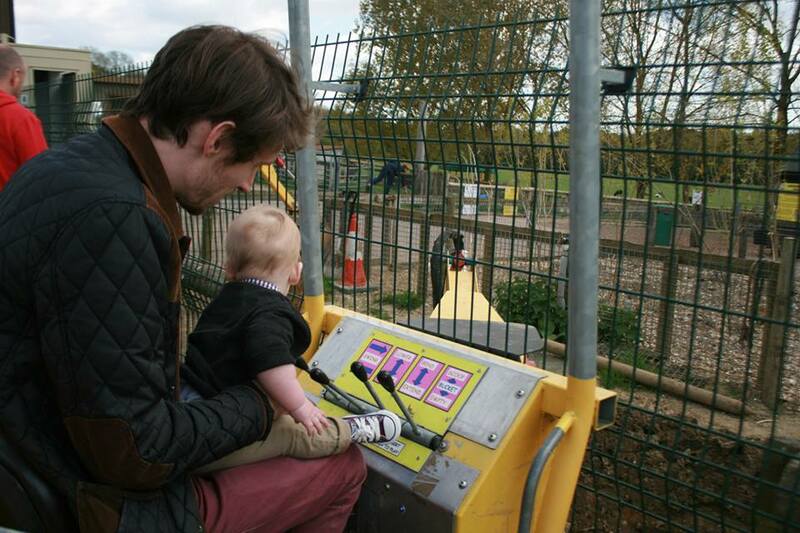 Today we took a trip to Longdown activity farm, somewhere we took Lucas last year, around Brad's birthday. We were invited by my friend Loren, and it was a couple of friends who are mums, from work and their little ones, another friend from work who doesn't have a little one, but bought her best friend (who used to work at New look) and has just had a baby boy, who is super cute, and made me broody! Even more broody. Lucas had MANY tantrums and had his first proper, throwing himself on the floor and banging the floor with his fists and kicking his legs. 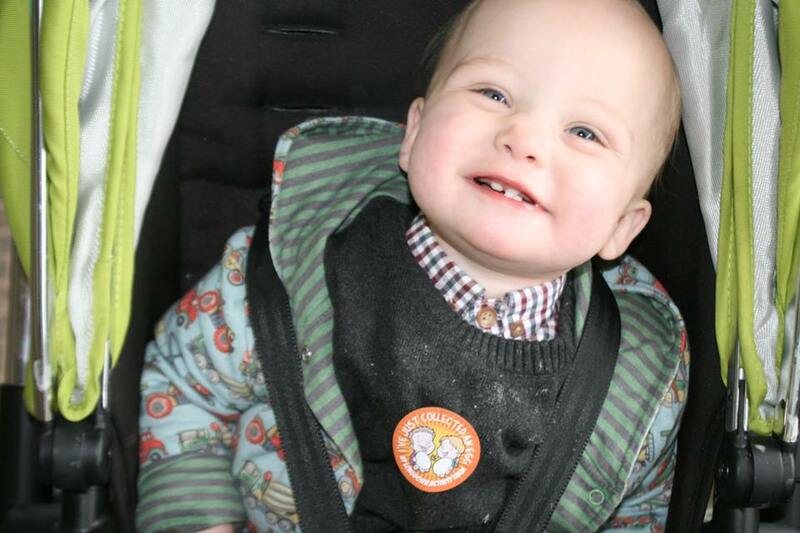 I have recently FINALLY learnt how to deal with Lucas' tantrums without sobbing after major ones. I get down to his level, have eye contact, stay really calm and keep a calm, yet stern tone to my voice and explain why what he's doing is naughty and how it's upsetting mummy, I occasionally threaten having to go back in the pram if he doesn't walk, too and that certainly does the trick if all else fails. The day didn't start off great, with Lucas deciding to take a dive out of his pram onto the concrete and bashing his head and causing a small egg. Then when I tried to put his coat on, he screamed like he was seriously injured, and only averting a panic attack due to Loren laughing and reminding me that actually the reason he was screaming was because I'd taken his TUC biscuit away... TUC returned, screaming stopped, checked him over no injuries. Mummy well and truly stressed. We saw some cute baby goats, some adult goats, bunnies (Peppers,) guinea pigs, chickens, ducks, cows and pigs. The pigs were uhm... up to naughties and I didn't know where to look. Luckily Lucas took no notice haha. It's a image I cannot erase. 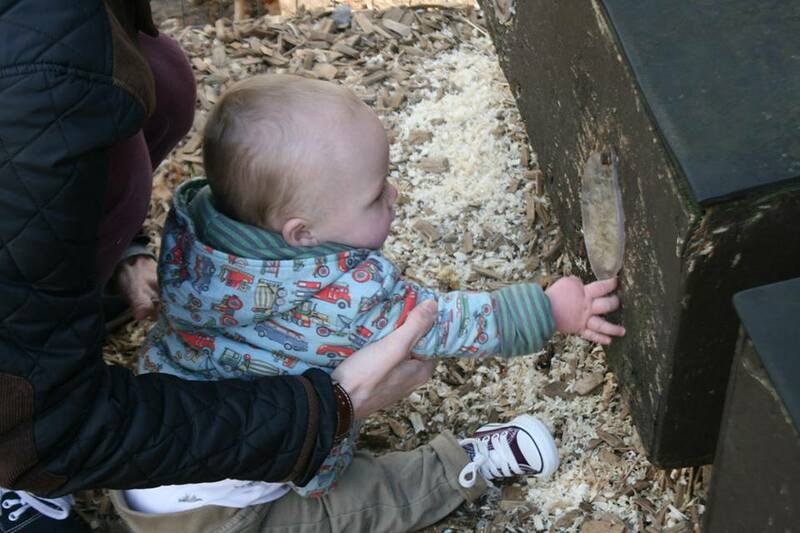 Lucas has learnt today to grunt like a pig, moo like a cow and say scluck scluck for ducks and chickens. I am seriously impressed. 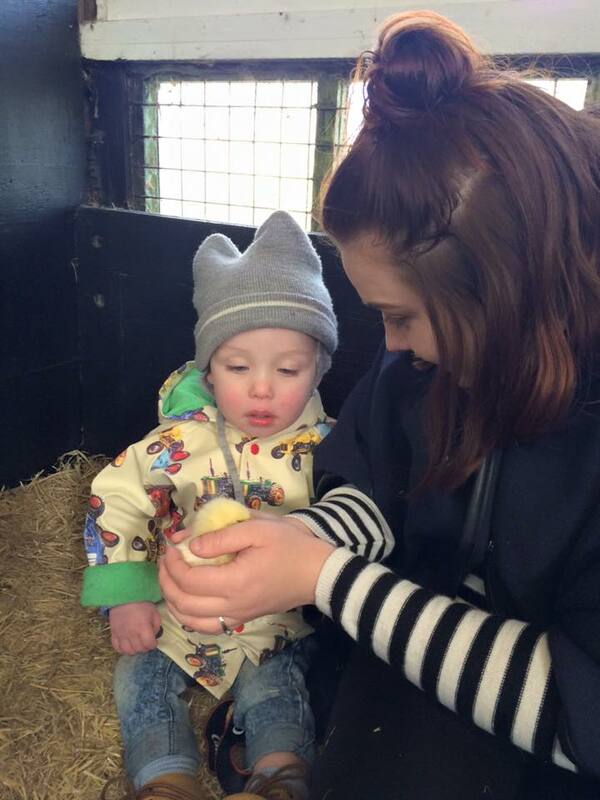 Lucas loved running around, running away from me, playing on the tractors and spent the day eating something. He is such a little piggy. He even fell in a puddle at one point and I couldn't help but laugh but then so did Lucas, he found it hillarious and kept putting his hands over his mouth and chuckling. Literally the kid has a great sense of humour. He has started putting small sentences together and putting 2-3 words together most of the time. I thought I'd compare a couple of photos from the last trip to this trip. My baby has grown up a lot! He's changing sooo fast, I cannot keep up. We had such a fun day. I haven't shared any photos on my blog and didn't film anyone else or their children as didn't think it would be fair. Check out our new vlogging way, it's on our "daily vlogging" channel and we're still filming daily but sharing 3 days on a Wednesday and 4 days on a Sunday. It's a lot of fun and we've changed how we film, less boring talking. Check it out for yourself and let me know what you think. This vlog will be up Sunday at 5pm! It's more of a family diaries channel now!